Maria is a highly experienced Executive Coach. She works with leaders to transform their business, their teams and their leadership style. 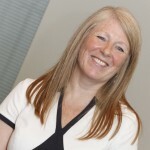 She has broad experience working with a range of business sectors including housing, retail, financial, construction, training, charity and public sector organisations. She is a qualified Coach supervisor working with independent and internal coaches. She helps coaches to develop their coaching practice, to ensure and enhance the quality of the coaching experience for their clients and to attend to the emotional effects of coaching. Maria is the author of ‘Coaching Presence: Building consciousness and awareness into coaching interventions’ and has had several articles published. She volunteers for the Association for Coaching as a Co Coaching Forum Regional Lead as well as a facilitating two coaching practice forums. Maria draws on over 28 years of leadership experience. She was a non executive director of LHA-Asra Group Plc, a director of the Derbyshire and Nottinghamshire Chamber and prior to that she worked for HBOS Plc for over 20 years.